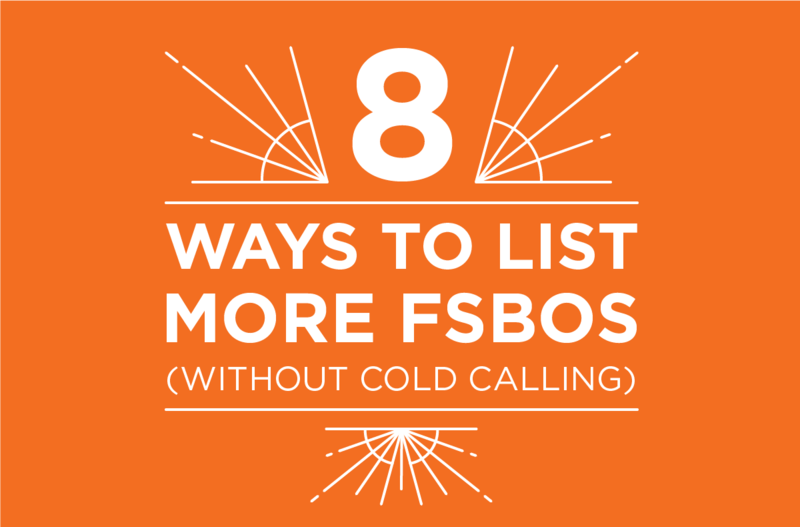 Learning how to prospect FSBO leads without cold calling is a skill. That means, just like your golf game or March Madness bracket, it can be improved! Like pricing or staging a home, you can get better at other ways to find FSBOs the more you do it and the more you experiment. After getting what can feel like thousands of calls from realtors, many homeowners will stop answering unknown phone calls, making it difficult to get in touch with them. Rather than placing a cold call, send a friendly text message. Nearly every text is read. A respectful, quick text will make it easy for the homeowner to hear what you have to say. Many FSBO listings provide access to an email address. Try sending an email with a few free tips or information on how you can help them sell for more money in less time. Voicemail broadcasts through services like SlyDial will deliver your voice message directly to their voicemail box without actually dialing their number. And since they are actively selling their home, you know they will be checking all their messages. This will allow you to share your message without having to cold call. Video is the most engaging way to communicate. Try sending a video to introduce yourself and offer a few recommendations for how to list their home. If you really want to stand out, you can record with their home in the background. Video is an excellent way to sell yourself and your skillset because it lets them get a better sense of who you are. Contact FSBO owners where they spend their time communicating. If a prospect spends time on Facebook or Twitter, they are more likely to respond to a Facebook Message or Tweet than they would a cold call. Make sure to add them to your direct mail campaigns, such as your Just Listed/Just Sold mailing lists. Response rates may be lower, but direct mail is a tried and true option. If they hold an open house, attend it to meet the owner and introduce yourself. Bring another client who’s interested in buying, if at all possible. It’s important that you don’t use this time to sell them on listing with you but rather to give a warm greeting, compliment their home, and possibly give some polite tips on how to improve their listing. If you have sent a prior text or email, refer to that interaction. You want to leave with a good impression. Like other suggestions in this list, this is about providing value first. Don’t just pitch your abilities. Call to offer suggestions—tell them about an article or eBook you’ve read, or offer tools or resources to help them sell their home such as Landvoice Call Capture. Start building your FSBO listing referrals with these and other proven strategies.